A box of 30 rolls of standard plain gummed paper tape, each roll being 48mm x 200M, 60gsm in thickness. 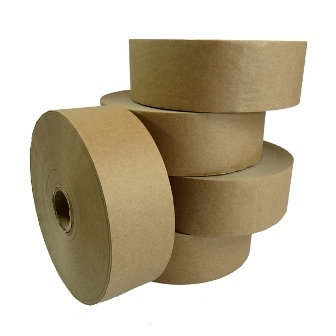 Gummed paper tape, also known as water activated tape, is an excellent solution for securing parcels and packages. The tape is tamper evident and 100% environmentally friendly and recyclable, and is the strongest tape solution in the market. Once wet and sealed, it effectively acts bonds the cardboard on the box together and cannot be opened without tearing the tape. This solution is used by some of the largest distribution centres in the UK.